This world occupies a vast territory and includes many fascinating places. The author has spent a lot of time and gradually built each zone. Here you will visit a lovely house located on the territory of the village, where villagers are living (by the way, you can trade with them). Each place has a sign with the description, and may be a small task or quest. Stroll through the village and pay attention to details, because almost everywhere there are hidden tunnels and passages which can lead you into dangerous adventures. 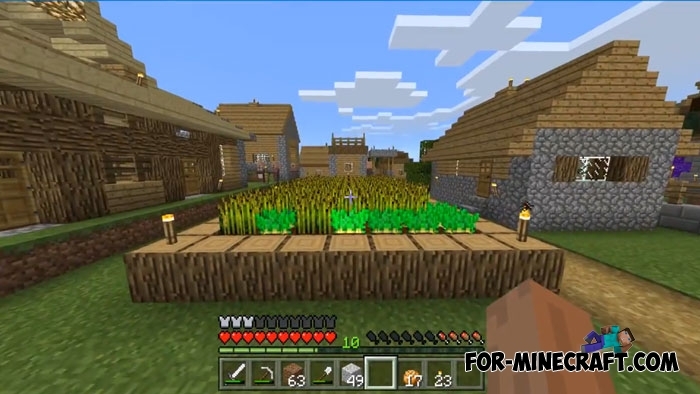 Also, the Survival World map is suitable for multiplayer games and can be used a small settlement. Really the site contains a lot of similar maps, but the Survival World was created a long time and planned by several players. The Zone map for Minecraft 1.8Real complex tests will be waiting for you and you'll go through a lot of challenges. Each puzzle is complex and will require you to maximum attention.